Millennials (people born between 1981-2001) are generally considered to be tech-savvy, forward-thinking and more interested in electronics than just about any other consumer good. This is, of course, a generalization that could never accurately describe such a broad group, but their buying choices do follow a certain trend and a recent study reported on by The Detroit Bureau reveals some interesting statistics on their preferred choice of vehicle. 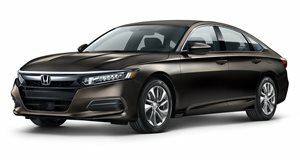 So here it is: the number one vehicle purchased by Millennials is the Honda Accord. 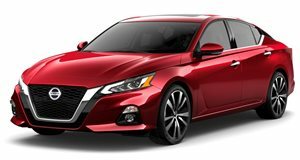 The next three spots are also taken up by Japanese sedans, namely the Nissan Altima, Honda Civic and Toyota Camry. Clearly, value for money and the promise of decent reliability are top priorities here. The need for the latest infotainment systems does not make the grade. The evergreen Ford F-150 (the best-selling vehicle in the US) does make it into seventh spot, but sits below the Chevrolet Impala sedan, a car that is nowhere near the top-20 best-selling vehicles in the US. Seeing as most Millennials live in city centers, use public transport or make use of ride-sharing services like Uber, their car choices seem to be of the sensible but underwhelming variety. The need for rough terrain conquering luxury vehicles is not a priority here. Interestingly, the only SUV on the list is the Jeep Grand Cherokee, sliding into tenth place. 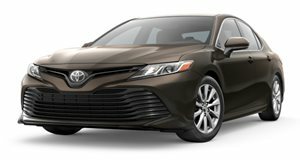 Perhaps that situation will change as more Millennials start to have kids of their own, but it could also mean that the current push by manufacturers to turn everything into a high-riding crossover may not end well. While the study does not distinguish between the younger Generation Z Millennials (those born after 1995) and their older Generation Y counterparts, the buying trends seem to be similar. Although not everyone agrees, sales figures from Ford suggest that these younger Gen Z Millennials are actually keen on crossovers. Aside from the F-150, trucks are also conspicuous by their absence. Millennials make on average $69,000 annually so their income levels are above average, however, the study does point out that college loan debt for this group is also the highest it has ever been. Then again, with the current pricing of iPhones you can hardly blame them.